For Daniel Levy, it has taken 18 years; a journey driven by his perfectionist nature, his obsession with the finest of details. The Tottenham chairman has overseen the construction of a squad to challenge at the top of the Premier League and the move to a state?of?the-art training complex. Now, the centrepiece is in place – the 62,062-capacity stadium, which will officially open against Crystal Palace on Wednesday night. Related: As United and Madrid doors close on Pochettino, what now for him at Spurs? It felt like a time for Levy to exhale on Tuesday morning; even to congratulate himself, however alien that is to him. Then, Mauricio Pochettino followed him into a media briefing and upped the ante. Dramatically so. The manager chose the eve of the stadium’s unveiling to outline his vision for what he called the club’s next chapter, the beginning of their next project. It amounted to a challenge to Levy and everyone else at the club to reset, dig deeper and be smarter. 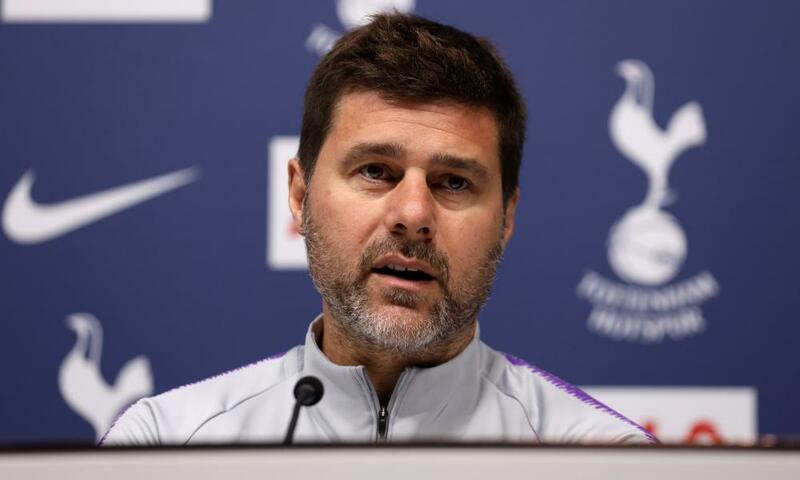 To Pochettino, Spurs must now think and act like an elite club and he mentioned Barcelona, Bayern Munich, Juventus and Real Madrid as the examples to follow. To him, they must “operate in a different way” and the bottom line was they had to do the thing that has eluded him during his near five-season tenure – win the league and/or the Champions League. Middlesbrough 2-0 Chelsea, 26 August 1995: Craig Hignett scores the first goal at the Riverside in front of a crowd of 28,286. Derby v Wimbledon – abandoned, 13 August 1997: Lights fail in the 56th minute with Derby leading 2-1 at Pride Park. By the time power is restored the game has been called off. Bolton 0-0 Everton, 1 September 1997: The officials do not spot that a header by Bolton’s Gerry Taggart has crossed the line. Bolton end up relegated on goal difference and Everton survive. Southampton 0-2 Chelsea, 25 August 2001: Saints go close at St Mary’s but goals by Jimmy Floyd Hasselbaink and Mario Stanic win it. Manchester City 1-1 Portsmouth, 23 August 2003: City leave it until the last minute to draw level at the Etihad, David Sommeil cancelling out Yakubu Aiyegbeni’s first-half goal. Arsenal 1-1 Aston Villa, 19 August 2006: Gilberto Silva equalises in the 84th minute from a cross by 17-year-old Theo Walcott. “We need to close the chapter,” Pochettino said. “We are not in Chigwell [at Spurs Lodge training ground] any more; we are not at White Hart Lane with 36,000 [capacity]. The magnitude of the club has grown 100 times. We cannot operate in the same way as five years ago. We are in another dimension. “When you arrive here now, it looks like a big club. Before, you could say: ‘Yeah, but the stadium only holds 36,000.’ Now, there is no point in thinking like a small club. You must think like a big club. If you want to compare to Barcelona, Bayern Munich, Juventus or Real Madrid, you can’t think you are Tottenham with 36,000. What does it mean to think like a big club and to operate in a different way? “That is what we have to discuss about the project [with Levy],” Pochettino said. He was a little vague, delivering the grand rhetoric but not exactly backing it up with clear illustrations. It was rather like his big speech at the end of last season, when he called on Levy to “be brave and take risks if we want to be real contenders for big trophies”. Pochettino thought then that Spurs were about to enter the new stadium. Now, after all the delays, they truly are and it was easy to feel he was repackaging the rallying cry. As ever, his assistant, Jesús Pérez, was alongside him but, unusually, his other coaching lieutenants, Miguel D’Agostino and Toni Jiménez, were also present to hear what he had to say. So what does Pochettino want? He dropped a hint that it may involve heavier spending in the transfer market than has so far been permitted, even if he is aware the club must repay the massive debt on the £1bn stadium and he is not a manager, generally, to demand big-name signings. Pochettino’s net spend on permanent transfer fees at Spurs is £27.25m. “I was talking with Daniel after Sunday’s Liverpool game about the very good action of [Virgil] Van Dijk [when the defender dealt with a two?on-one Spurs break],” Pochettino said. “Van Dijk was £75m 18 months ago. The goalkeeper [Alisson] was £70m. They had two midfielders on the bench [Naby Keïta and Fabinho], who they spent about £100m on in the summer. Mauricio Pochettino wants Spurs to aspire to the level of clubs such as Barcelona, Bayern Munich, Juventus and Real Madrid. When Pochettino spoke out at the end of last season, it was possible the Real Madrid job was about to become vacant – a position with which he had been linked. In other words, he had a degree of leverage with Levy. He would not appear to have as much now, with Real and Manchester United – another club that have coveted him – having just appointed managers to long-term contracts in the past few weeks. What can change for Pochettino at Spurs? The thing that has changed irrevocably is the structure that occupies 1.3m sq ft off Tottenham High Road. 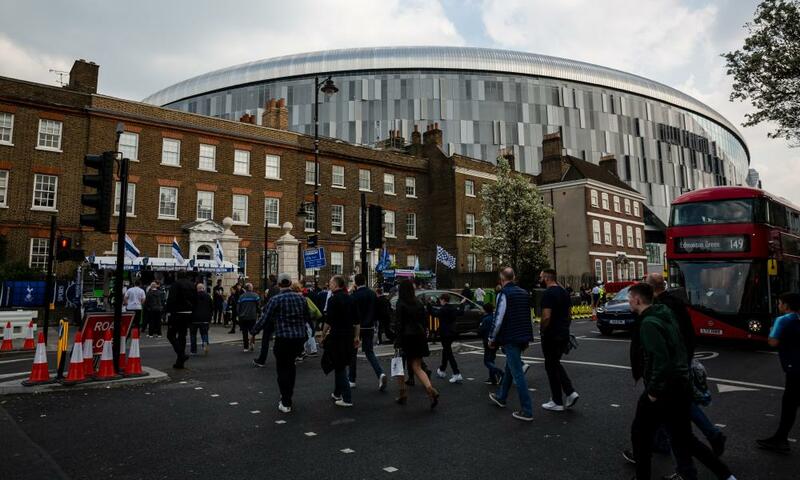 Many fans are primed to experience the stadium for the first time and it is, quite simply, a triumph for Levy, who came to the club as chairman in 2001. He expects to see match revenues double to around £100m per season, commercial incomes increase and other areas, from NFL matches to conferences, contribute to growth. In the end, though, he agrees with Pochettino: it is about thinking big and winning. The last word went to Pochettino, who hopes the stadium can give his team a lift against Palace, after four defeats and a draw in five league games – the worst run of his time in charge.